I am a former DI scholarship track & field athlete. Hurdles and High Jump are my specialty. I am competitive, driven, optimistic and dedicated. I am a christian who believes all things are possible through Christ. As an IFBB Professional Physique competitor I have the tools to give my clients the best of the best training and nutrition advice. I'm passionate about educating my clients with new and creative ways to maintain a healthy, fit and fabulous lifestyle. 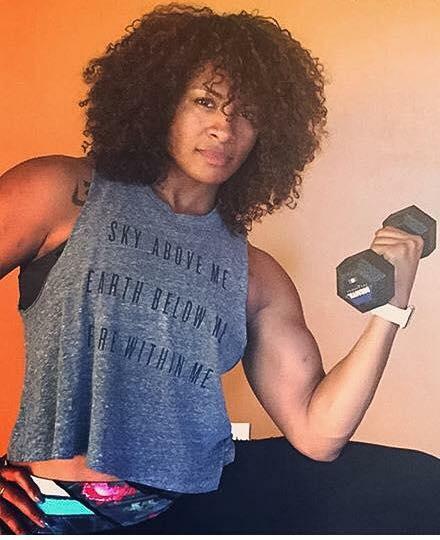 In addition to strength training I enjoy practicing martial arts, playing basketball, MMA, CrossFit, brain teasers and hanging out with friends and family. Balance is what its all about.